We know how hard it can be to fit everything into the car when you holiday with small children! 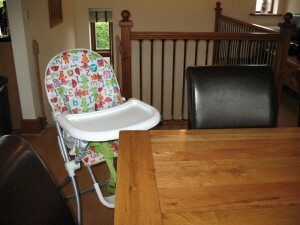 To make things a bit easier, we offer the use of a travel cot and a high chair. 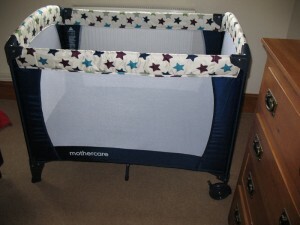 The travel cot is suitable for babies from birth to 24 months or up to 15 Kg. 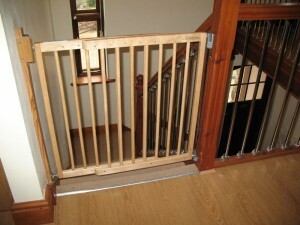 We also provide 2 stair gates which fit to the top and bottom of the stairs. You will also find other useful items such as a potty, a child’s toilet seat, bathroom step and bathmat in the cupboard under the stairs. Please note we are unable to provide sheets or blankets for the cot; you will need to bring your own bedding for your baby. And a special reminder to your little ones not to forget the bucket and spade – so much sand on those beaches!